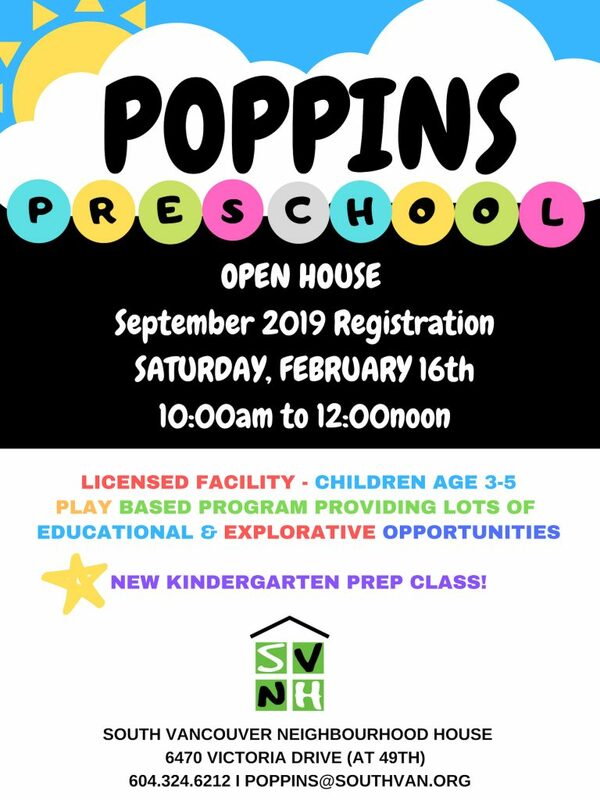 Poppins Preschool Open House & Registration for Sept 2019 school year is on February 16th. Come and have a tour of our program and meet the teachers. We look forward to seeing you there!